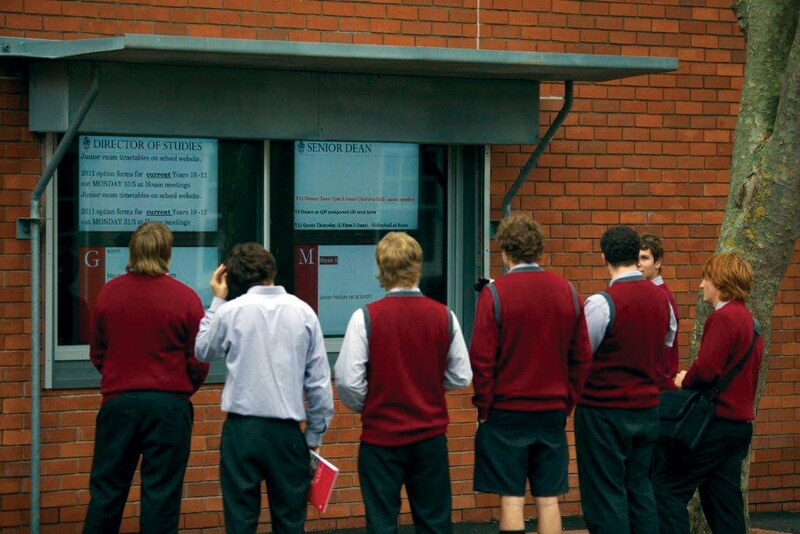 Why school Digital Signage outdoors is the NEW school Must-Have! While at the NCAIS (North Carolina Association of Independent Schools) Innovate 2012 conference yesterday, the obvious topic of discussion was technology in the classroom, but an IT director from a private school in Raleigh brought up a different topic that many may not think of. He asked us about digital signage outdoors. He explained how right now they have the white sign with black plastic lettering outside of their school (like most other schools) and it’s just not a good representation of their state-of-the-art school. He’s exactly right! Schools should update technology from the inside out and digital signage is a great way to update the outside of your school. 1) Let everyone see how innovative your school really is! So you’ve spent all this money and time on classroom technology and your school wireless network, but when people drive by they probably would never guess that, since you have the same big white sign out front for school announcements that fast food chains have! That sign is the first thing a lot of people see at your school. So, having digital signage instead obviously creates a better impression for your school. Show everyone how great your school is and how you are improving your school wireless network and technology from the inside out. Right now when you want to change the message on your big white sign you have to physically send someone outside with the pole and letters to put up each letter one-by-one. What a pain, especially if it’s raining, snowing, windy, etc. You are also limited to the amount of space you have available for your messages and announcements. With digital signage those problems are solved. The messages and announcements can be easily changed from your desk and you can post as many announcements and messages as you would like. Quick updates and emergency messages can be realyed instantly. 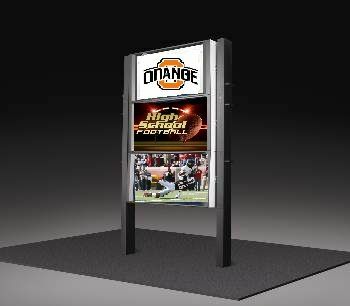 There are different options of how to display and update the messages on your digital sign, and it can be as easy as a repeating power point if you choose. Can you image Times Square with just boring white and black displays? No one would even pay any attention to what they said. People are a lot more likely to pay attention to your announcements and messages on a digital sign rather than a plain white and black display. You can add color, graphics, and pictures to catch people’s interest and relay information. For example, imagine how many more people you could get to come to sports events if you could add fun images of last week’s game to the game schedule announcements rather than just black letters. Think about the effect of pictures of mouthwatering desserts with the bake sale fundraiser announcment; that would be enough to make me stop by. With digital signage, you can make school events more successful than ever! People are drawn to multimedia and if you want to get your school noticed and get your announcements and messages across more effectively, you can achieve this using digital signage outside of your school. In a world where technology in the classroom is constantly evolving and changing the way students learn, it’s important to constantly progress your school technology from the inside out. 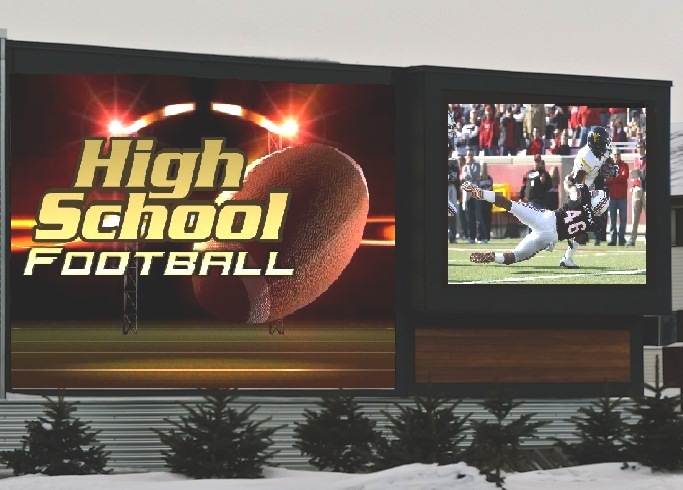 You can quickly and easily improve the outside of your school with outdoor digital signage and make your announcements incredibly more effective and show people what your school is really about. Now that I’ve told you why you should use digital signage outside of your school, I know you must have many questions. That’s where we can help! We have audio video engineers that are experts and can give you advice, suggestions, and would be glad to answer any of your questions. We are also experts in classroom technology and school wireless design and provide planning, deployment, and design for school wireless networks as well as installing audio and video technology in the classroom and outside the classroom. For more information about digital signage you can check out this post 3 ways to Use Digital Signage in Schools and contact us with any questions or for a free consultation. Check out our free wireless design guide; it's a great resource you can use for your school! Good luck!